Young children are all "pre-readers" who pick up clues about reading from their environment. This is great news for parents — you already have everything you need to help your child succeed. Four-year-olds are curious explorers who want to understand their world — and books can help! When you read to and talk with your child, you build key early reading skills. As children's author Emilie Buchwald wrote, "Children are made readers on the laps of their parents." This is a great age to help your child recognize letter sounds, identify letters and build vocabulary. Nursery rhymes aren't just catchy — they are amazing tools for helping kids recognize rhyme and "end sounds." After your child is familiar with a few rhymes, pause when you get to the final word in a line and let your child finish it. For example: "Hickory, dickory _____; The mouse ran up the _______." Point out that "dock" sounds like "clock" and see if your child can come up with other words that rhyme. Super Grover is here to save the day! Your child can help Grover find missing items by choosing the correct rhyming words. As you run errands together, point out signs and symbols, from traffic signs to the names of businesses. As you run errands together, point out signs and symbols, from traffic signs to the names of businesses to flyers at the store. For example, you might say, "Look at this flyer! It says there's a sale on fruit today. Can you find the word 'banana'? Look for the letter B." Get the whole family involved in this game to play in the car! Your child can learn new words and practice map reading skills while you go from place to place. Your child can create his own kooky recipes by describing, writing and illustrating the needed ingredients and procedures. Reading aloud to kids is "the single most important activity for building knowledge for their eventual success in reading," according to a landmark study. Your child can develop rhyming skills by making a book of words that rhyme. Daniel, Katerina, and their neighbors work together to clean up their playground. Your child can learn about recycling, community involvement, and reading skills in this story. Skilled readers make connections between what they read in books and the world around them. Skilled readers make connections between what they read in books and the world around them. When you read books with your child, look for connection points. That character reminds me of your Uncle Juan! They both love telling funny stories. She's sure a picky eater — just like your little brother. He's afraid there's a monster under his bed. When I was little, I used to think a monster lived in the washing machine because it made loud noises when my mom turned it on! Oh, they are going to the hospital. Do you remember when you went to the hospital to get stitches? Playing pretend restaurant can be fun and help build memory and literacy skills. To help young children become comfortable with letters, keep a few alphabet sets around the house that your child can touch and manipulate. Decorating your child's ceiling while practicing alphabet concepts is as easy as A, B ,C when you and your child create a nighttime star scene using the alphabet and lots of sparkle. Play "What Else" and "What If"? Before kids recognize letters, they can recognize sounds. Help them connect sounds to letters. This can be as simple as saying, "I like ba-ba-ba-bananas and ba-ba-ba-baseball. What do you like that begins with the letter B?" You can also practice manipulating word sounds by replacing the opening sound of a word with a new sound. For example, you might say, "What if every name in our family began with the /w/ sound? Mommy would be called . . . Wommy! And Grandma would be Wandma!" Or "What if all the food at the table started with the /t/ sound? This pickle would be a . . . tickle!" Pig is making a pizza with toppings that start with the same letter. To help Pig make a perfect pizza, your child can match words that begin with the same sound. In this game from Martha Speaks, your child can practice listening skills by carefully listening to Martha's radio and then picking 5 pictures that match the theme. Children will delight in taking on the roles of favorite characters, whether it's Fancy Nancy or Pete the Cat. Children will delight in taking on the roles of favorite characters, whether it's Fancy Nancy or Pete the Cat. In addition to acting out favorite scenes, they can create new ones of their own. Play can help children develop skills that are fundamental to reading by stimulating language development and the creative use of words. Moreover, as they create new worlds, they begin to gain an understanding of characters, the structure of stories and point of view. 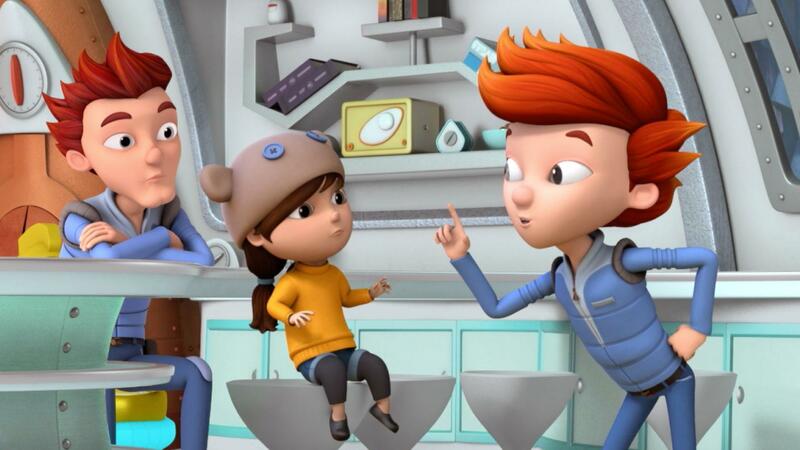 WordGirl and Tobey argue about the meaning of the word "hullabaloo." Your child can use his or her imagination to make a recipe for hullabaloo, practicing new vocabulary words! Your child can practice the letters of the alphabet while singing a song and learning about the many different names of dinosaurs. Sheep has a room full of words! Help your child find hidden words in the room and spell them together with Sheep. Your child can practice her word knowledge by matching words that are synonyms in this Super Why memory game. Mindy and Carrot follow a recipe. Y Do I Love the Letter Y? 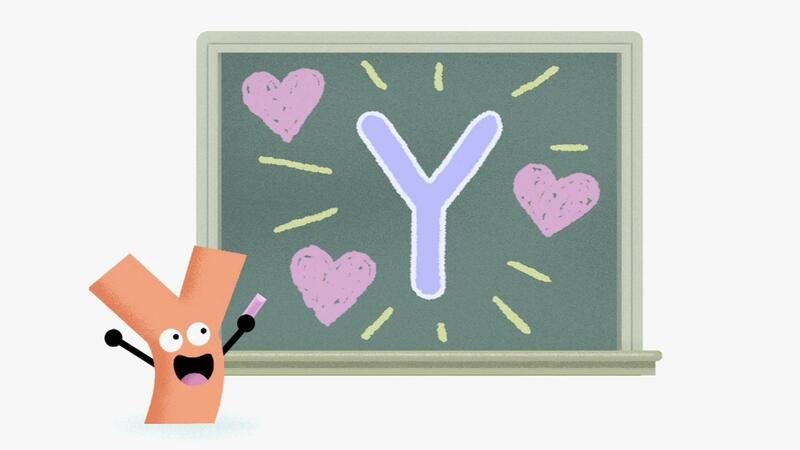 In this musical clip, your child can learn about what words begin with the letter Y.